Category 5 Hurricane Irma had already wreaked devastation in Puerto Rico, and now turns its attention to Florida. Hundreds of thousands of residents are fleeing the Tropical State, and the mass flight has brought highways to a halt. However, Chabad emissary to Florida Rabbi Mendy Katz refuses to abandon his community. "We're not leaving," Katz told Behadrei Hareidim. "We can't leave. We have a public mission-27 years ago there was a hurricane in this area, and the Lubavitcher Rebbe, who was in a difficult situation and could not speak, told us with his hands not to leave. We are preparing for the worst and hope that the hurricane will spare us." Chabad emmisary to Texas Rabbi Yitzchok Schmukler echoed his sentiments. In a diary he kept about the devastating Hurricane Harvey that he published in Tablet, Shmukler describes the agonizing choice he faced whether to open his synagogue on Shabbat morning, while the hurricane raged outside. He wrote that "what if even one person decides to show up?” I said to my wife, Malky, “I wouldn’t want them to arrive to a closed door.” One person did come, and that was me. 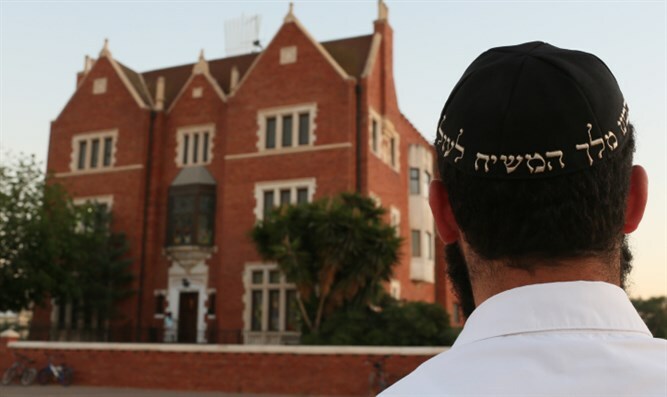 But I knew a Chabad House doesn’t close its doors, certainly not by our own free will." Chabad has taken a prominent role in the post-Hurricane Harvey recovery effort. The Chabad Center at the University of Colorado in Boulder received wide media coverage after they drove 16 hours down to Texas in order to bring supplies to the devastated region.